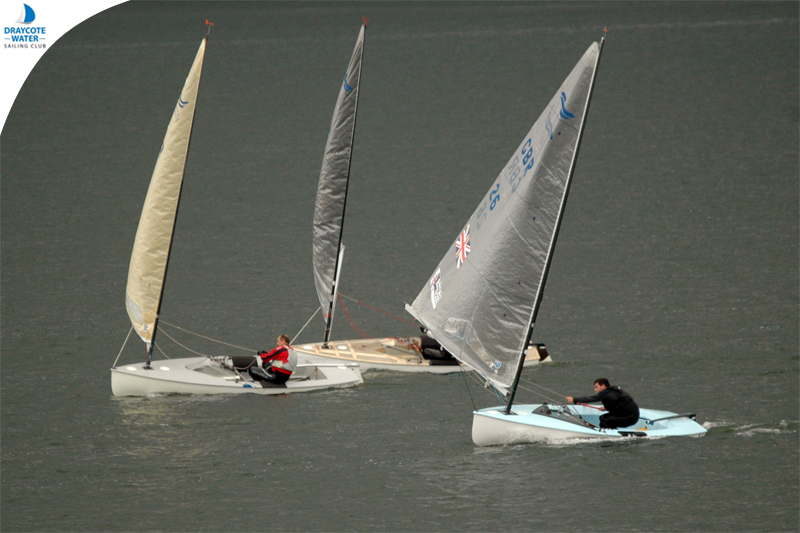 Draycote Water near Rugby, provided the venue for the 2016 Finn Inland Championships over the weekend of October 8-9, ably hosted by Draycote Water Sailing Club. 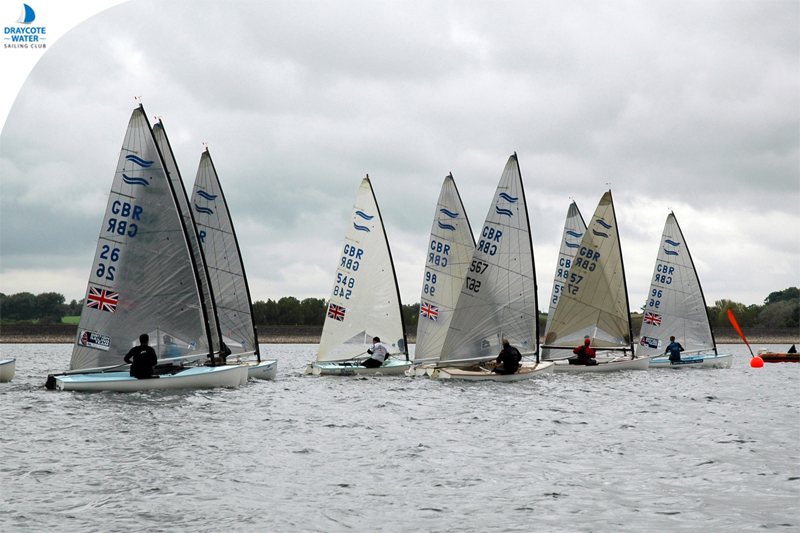 In an event run conjunction with the Blaze Class Association, twenty two Finns braved a somewhat unseasonably bitter but light north easterly wind to attend the championships. Although light the north-easterly made for some tricky sailing with a keen eye for the shifts the only way to benefit. Throughout the weekend individuals told stories of a good beat followed by a horror story when things went very badly. Incidents, were few with a couple of downwind capsizes mostly for those at the back of the fleet who were obviously concentrating so hard on how everyone in front was performing that they forgot to look behind for the brief but powerful gust that death-rolled them into the water. Well done Tim Simpson! Chris Avery sailing his Classic Finn sank on Saturday as he neglected to put in the bungs before he left the shore! On returning to racing on Sunday unfortuately his main halyard promptly fell down as the old stainless steel clip at the top of the mast gave way; but as the only Classic Finn he still took the Classic Finn Trophy. Martin Hughes managed to round the leeward mark in the first race on Sunday in the top five only to sheet in so hard that the mainsheet snapped creating havoc for everyone else rounding the mark as he definitely became a vessel not under command for a moment or two. Despite the misfortune of sailors throughout the fleet, one thing remained constant – Hector Simpson. Hector was victorious in all but one race where he was beaten by Allen Burrell, however, he consistently found the best shifts and managed to ensure he stayed at the front of the fleet. Race officer John Rohde and his team did a fantastic job of getting the Blaze fleet and a particularly punchy Finn fleet away first time in every race. The up-wind downwind course provided some tricky sailing, not only from the shift upwind but also downwind. John did a very good job of ensuring the races all took around 45 minutes by shortening the course after about 4 rounds to give us a final short beat from the leeward mark to the finish. 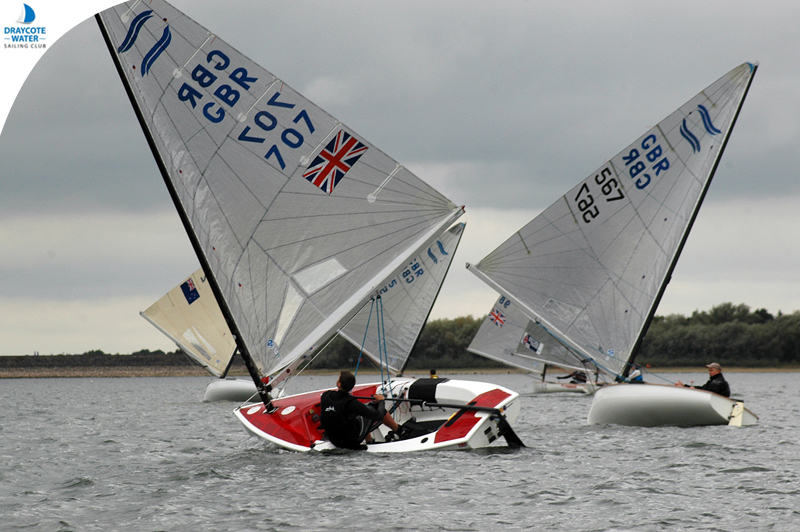 All around a great weekend of sailing in good inland conditions. The up and coming GAC Pindar sponsored Under 23 squad, proved again that their training with coach James Hadden is improving their sailing. However, the indirect consequence of this training is the extra impetus and skill it transcends to the older masters fleet, where older dogs do learn new tricks. Similarly, the Under 23’s certainly gained much from the older sailors – even if it was that you do not always need to pump your heart out when sailing downwind, especially in the marginal conditions when the Oscar flag is still flying. 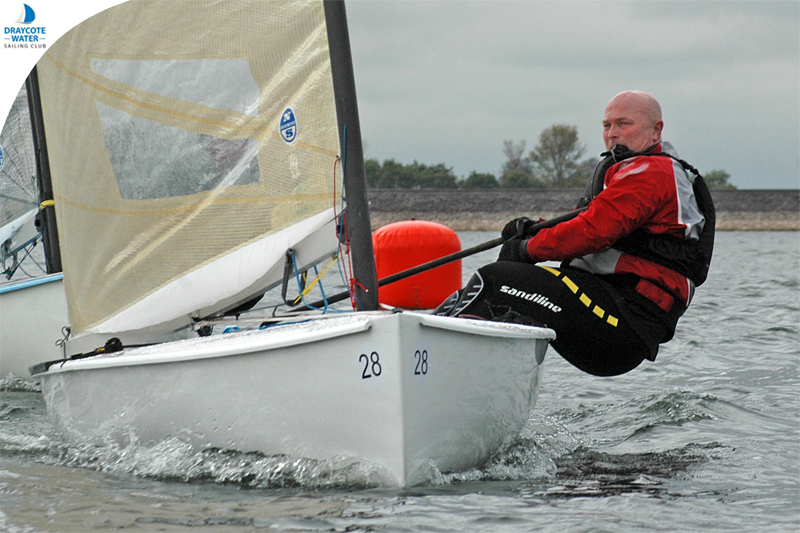 It was also great to welcome Henry Bagnall back into the Finn fleet after a decade of not sailing Finns he returned as a force to reckon with, as he gained several top five results. It was also heartening to see several sailors with recently purchased Finns especially Fergus Allen, Anthony Huggett and Keith Tunstall all enjoying the great racing and Finn camaraderie.